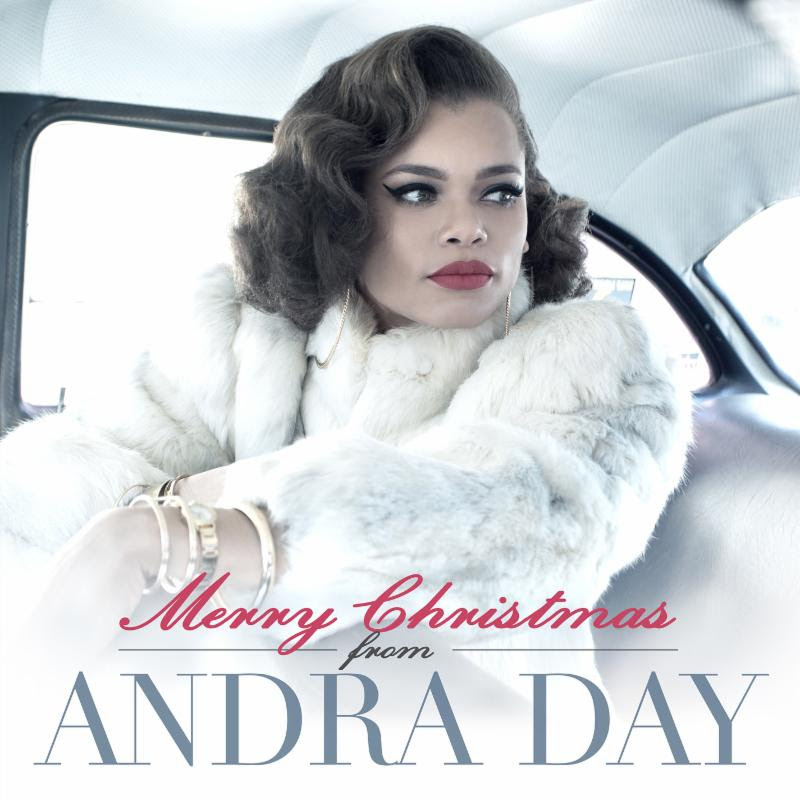 Andra Day | Merry Christmas from Andra Day - TheUrbanMusicScene.com | Music Reviews! Andra Day has much to feel blessed for with the embrace of her 2015 debut album Cheers to the Fall, opening dates with Lenny Kravitz and a Grammy nomination. As she takes her time to complete her sophomore follow-up, she pauses to toast the winter holiday season with an inspired and winning 5-song EP, Merry Christmas From Andra Day, for her growing international legion of fans. An instant attention-grabber is her rendition of “Someday at Christmas” in a duet with the man who made the Ron Miller/Brian Wells composition a perennial back in `67 as the title track of his Tamla/Motown Christmas album, Mr. Stevie Wonder – singing and playing piano. The updated track rolls on a rhythm machine beat with Andra and Stevie trading verses before joining their voices as one for the big finale. Color this respectful and true, produced by Warryn Campbell (with wife Erica Campbell of Mary Mary among the backing vocalists). Stevie sure doesn’t miss making a way to work with ALL of the nouveau soul angels as soon as they appear, huh? Elsewhere on the disc, Andra gets her sassy vintage jazz voice over a runway model strutter’s groove on “God Rest Ye Merry Gentlemen.” On “Winter Wonderland,” her voice is confident and sure in front of warm, intimate piano only accompaniment. “Carol of the Bells” glistens like new fallen snow with its interwoven electric and acoustic guitars, and bells. Finally, “The First Noel” is a sparkling gem nestled in a manger set to keyboard and synth strings. It’s sweet that Day made her way to a Christmas offering so early in the game… such a pure and touching one at that. Props to Mike Bennett for the spare and tasteful production throughout that keeps Andra’s powerful voice front and center.